The makers of the super-cute Kawaii Box have a new subscription service! Meet JAPAN CANDY BOX, a monthly box of adorable and delicious Japanese treats delivered to your doorstep! I was pretty impressed with the range of goodies included in the box- and super excited to play with the Neri Candy Land DIY Kit, because those are always really fun. It was cool that the box had pretzels, gum, biscuits and chocolate- something for every preference! I would be excited to sign up for this service and receive a new box every month! If you'd like a chance to win your own JAPAN CANDY BOX, here's your chance! 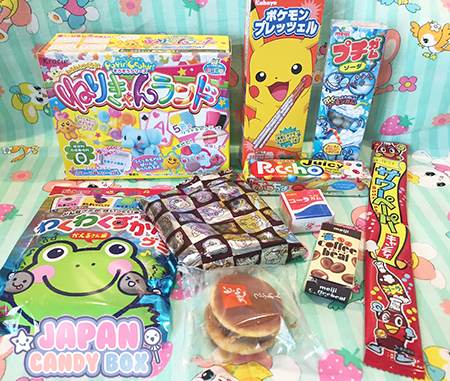 Enter via the rafflecopter links below and you could win your very own box of Japanese Candy cuteness!